Download any of the following forms to enhance your business for FREE! These are yours to use, keep, and distribute as you see fit. 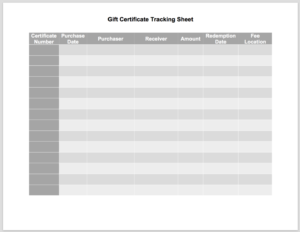 WANT TO CUSTOMIZE THESE FORMS YOURSELF? Become a member and get access to the original files to customize them however you want, plus so much more! This intake form covers all the basics and then some. 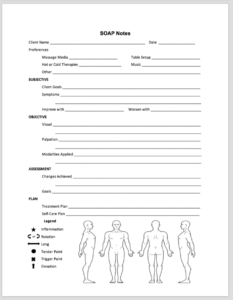 This SOAP Note sheet has the basic SOAP format with 3 entries per page. 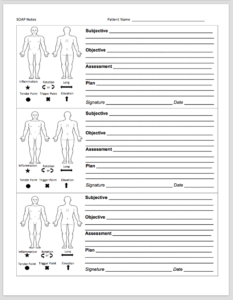 This SOAP Note sheet has all the basics plus a more detailed approach to each segment. 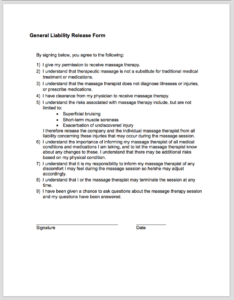 A basic release of liability form to be used in conjunction with our intake form. 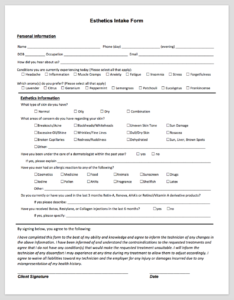 This form has space for each person’s name, email, and address. This is perfect for both email and mailing lists. 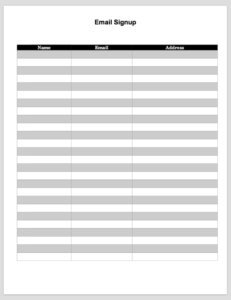 Keep this at your front desk so people can sign up while you check them out, or put it up at marketing events to capture information for potential clients. 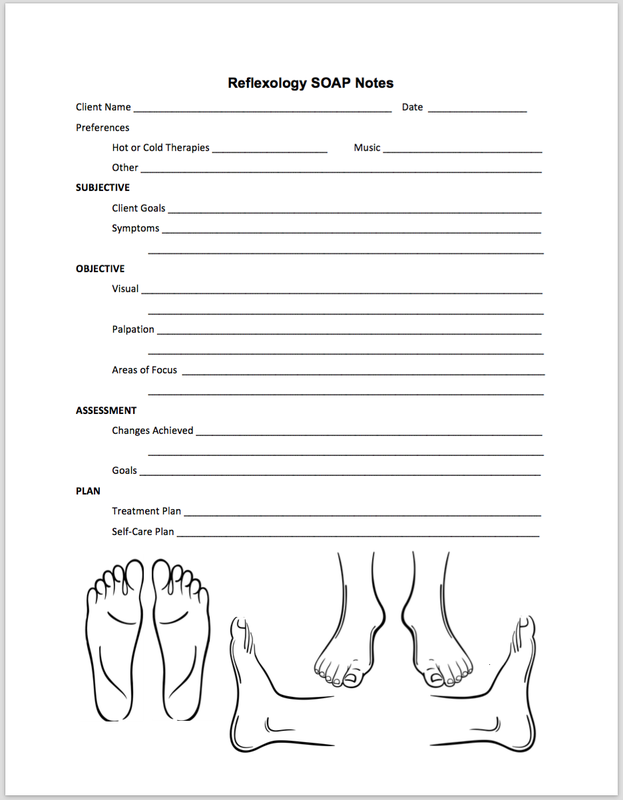 For those who are also estheticians, get a thorough history of your clients with this in depth esthetics intake form. 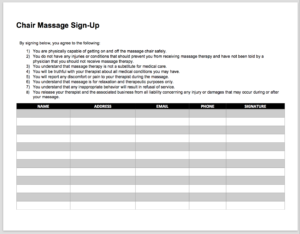 This form allows clients to easily sign up for chair massage at any event. Capture each person’s contact information to add to mailing lists AND get a signed release in an easy-to-use form. 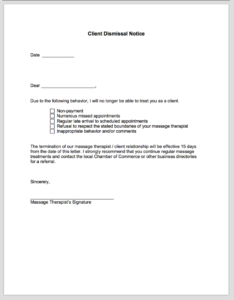 With space for 12 clients per sheet, you won’t be drowning in paperwork at a simple chair massage event! 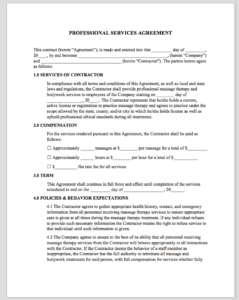 Whether you’re doing a one day event for a company, or going on a regular basis, this contract will lay out the details of the agreement. 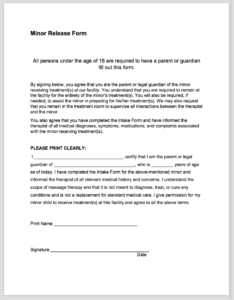 This form contains typical cancellation, late arrival, and inappropriate behavior policies with a place for clients to sign in agreement. 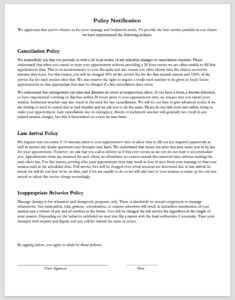 We know that not every business requires the same policies so please contact us if you would like a custom policy form designed for you for a small fee. Not sure how to tell a client not to come back or explain why? Here’s the perfect solution! This professional notice of termination will easily take care of that for you. 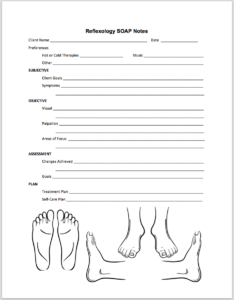 This form allows a parent or legal guardian to give permission to perform massage on a minor client. It’s important to have this type of document signed when working with any minor. 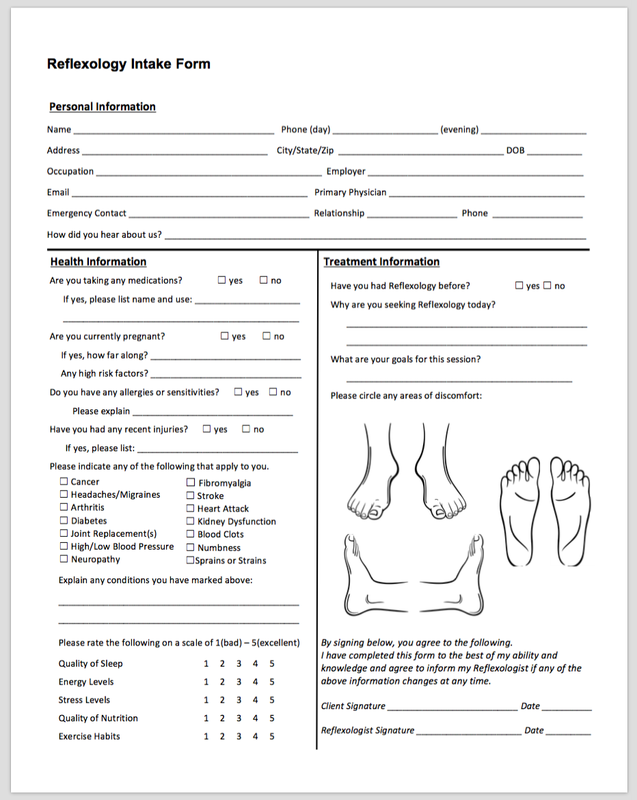 This form is meant to be used alongside a standard intake form. 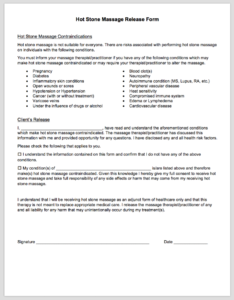 This form informs clients of the contraindications to hot stone massage and releases the therapist of liability. 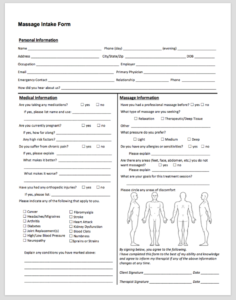 This form is meant to be used alongside a standard intake form. 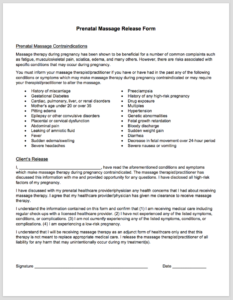 This form informs clients of the contraindications of prenatal massage and releases the therapist of liability. 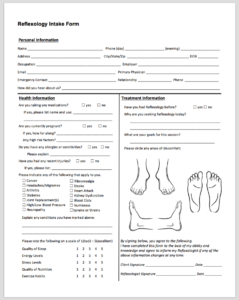 This form is meant to be used alongside a standard intake form. This form lets you keep track of all your findings, client requests and complaints, etc. 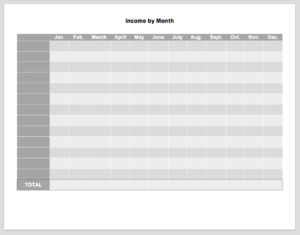 This bookkeeping form allows you to track all income per transaction. 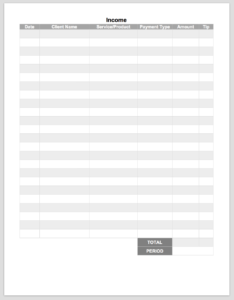 This bookkeeping form allows you to track your total monthly income. Simply transfer your totals from the Individual Income form so you can easily see your month-to-month differences. Plenty of space to fill in your own income categories. 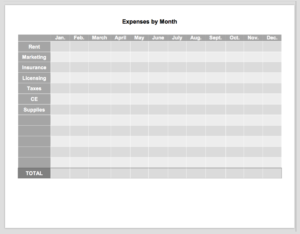 This bookkeeping form allows you to track all expenses per transaction. 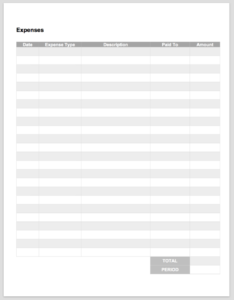 This bookkeeping form allows you to track your total monthly expenses. Simply transfer your totals from the Individual Expenses form so you can easily see your month-to-month differences.